On a cold and wet Friday morning back in January, the Northern and Southern Trust area teams in Start360 met for their monthly Full Team Meeting. On the agenda along with the usual points was a new one – Fundraising. When it came to that point, Kathleen Grego (number one manager – apologies to all other lovely Start360 managers), explained the aim of the organisation and what the expectations of the team were. 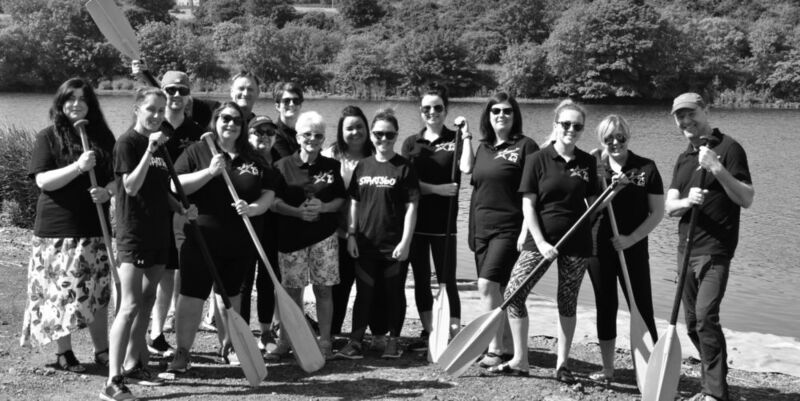 We were asked to come up with ideas for a team fundraising activity and true to form there were some great ideas but the one that appealed to most people was rowing the Bann. Everyone thought that not only would this personally challenge each individual but would allow us an opportunity to team-build and develop closer connections. Some people were concerned about their fitness and skills levels as they felt that they may not be able to 'pull their weight'. There were individuals who confessed that they have a fear of water and that they were concerned that they would not be able to even step in the boat. Nearer the day there were even some concerns raised about the weather – that it would be too warm!! Needless to say, as a team we came together to try to alleviate our colleagues concerns as best we could, 'I mean what is the worst that can happen!!' (Nervous laughter). Everyone met at The Edgewater Complex in Coleraine and the mood was high – people were literally 'buzzing'. Everyone gathered together, applying sun lotion and putting on our brand new 25th Birthday Start360 polo shirts for our photo opportunity. Things were on a high at this point and then the guys leading the rowing called everyone over to do the obligatory Health and Safety bit! Things were starting to get serious now! Tips on Rowing were explained – how to go forward and back, how to steer the boat and how to avoid 'drag' so that the boat was always moving forward (note to Julie McKendry lol!!). Eventually the moment of reckoning was upon us. 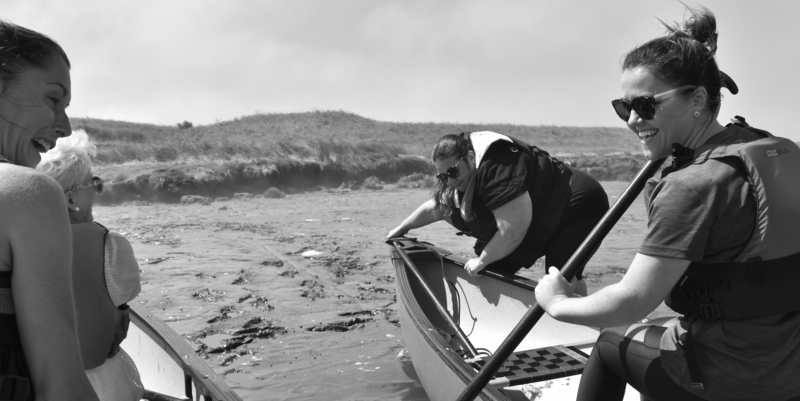 The team was divided into three and assigned a canoe which were destined to be cast off into the great unknown. 'We’ll see you on the other side folks' and 'May the best team win'. 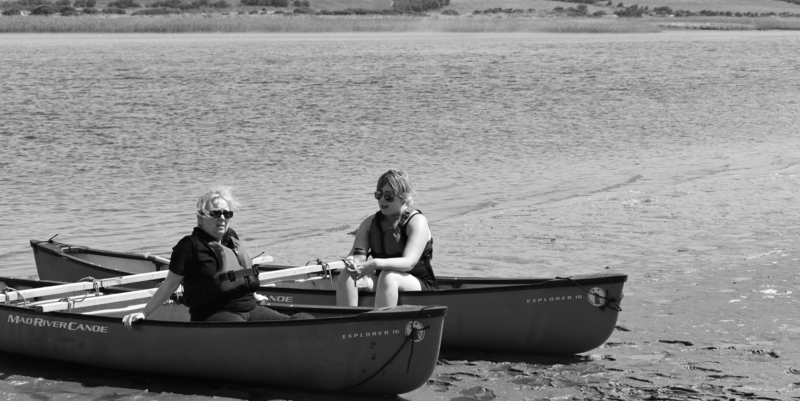 The row out passed off without any great incident with all three canoes reaching our designated stopping point – The Island - queue Kathleen Grego singing the good old Paul Brady song. The weather at this point was pleasant with a slight mist coming off the sea, keeping the temperature down slightly and muting what would turn out later in the day to be a very hot sun. We gathered together on dry land - all except Julie who refused to leave her canoe (a special bond was developing). Participants in each canoe who had made a special contribution to achieving the first stage of the trip were given a mention in dispatches, especially Kirsty Armstrong who had regaled our canoe with hippo stories from the Zambezi (the jellyfish in the Bann just did not compete). Gerry McVeigh in canoe one photographed the whole experience along with Ciara Doris who talked about food the whole way there – shocker!! It’s amazing where you get your motivation from! Food became a massive motivation on the way back for almost everyone, with Andrew Millar in our canoe not stopping, not passing go, not collecting his £200 (Monopoly reference for those who don’t play too many board games) as he was 'starving and couldn’t wait to get lunch'. It would be lovely to say that the row back was as uneventful as the row out – I’d love to say that, but that was not the case. Canoe one having reached the island first, decided that they would change their winning formula – they would all swap sides to use their opposite arms - with disastrous results. The previously winning combination now ended up in all kind of difficulties, several times going around in circles. At one point it was suggested that International Rescue be called but the team rallied round and working together they managed to bring their canoe successfully into land once more. Our row was finally completed, now we could reflect on our successful navigation of the mighty River Bann, on how we had worked together as a team to overcome adversity and achieve our goals, all while raising funds for Start360. Feedback from participants included – 'I thought the day was fantastic. It was a real challenge overcome with team work and a great spirit. It was great to take a day out for ourselves to meet the rest of the Start360 teams that we don’t get to spend time with as we are all so busy in our day to day work'.